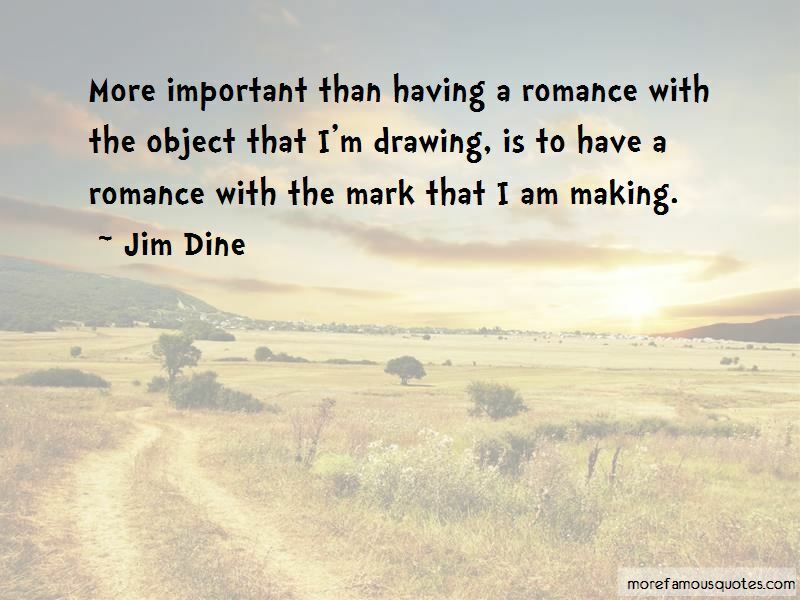 Enjoy the top 13 famous quotes, sayings and quotations by Jim Dine. More important than having a romance with the object that I'm drawing, is to have a romance with the mark that I am making. I'm not a pop artist. For me pop never was ... Pop is concerned with exteriors. I'm concerned with interiors. When I use objects, I see them as a vocabulary of feelings. I can spend a lot of time with objects, and they leave me as satisfied as a good meal. I don't think pop artists feel that way. 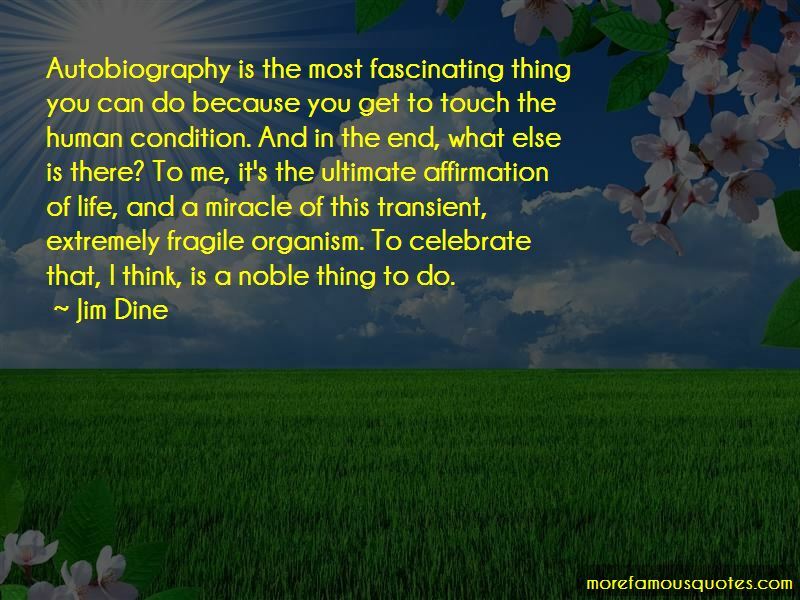 Autobiography is the most fascinating thing you can do because you get to touch the human condition. And in the end, what else is there? To me, it's the ultimate affirmation of life, and a miracle of this transient, extremely fragile organism. To celebrate that, I think, is a noble thing to do. 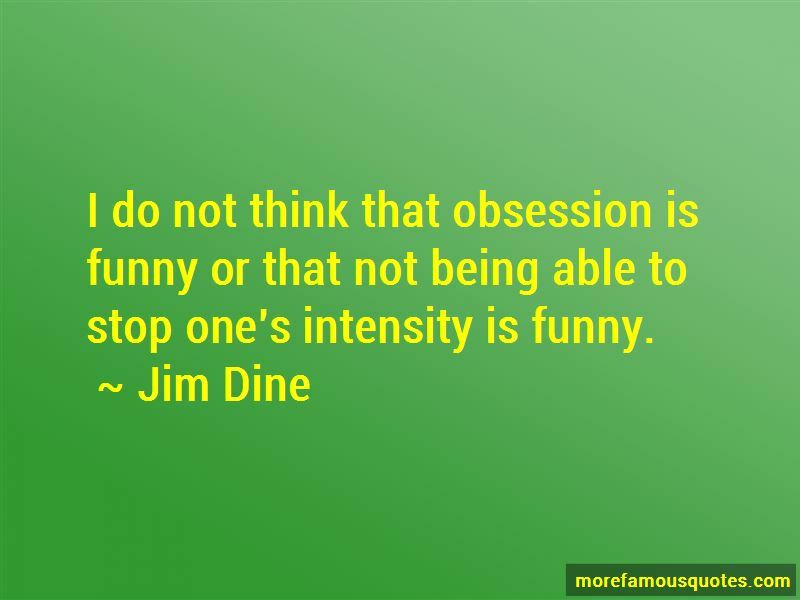 Want to see more pictures of Jim Dine quotes? 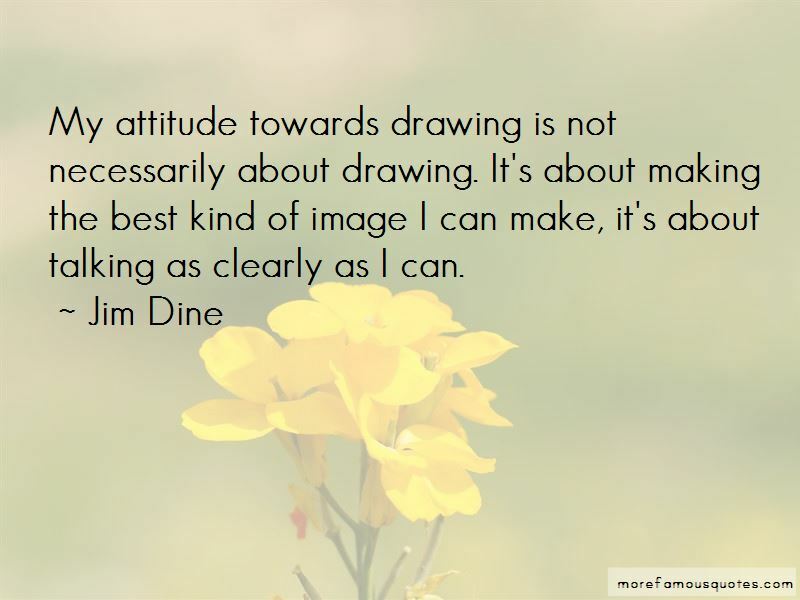 Click on image of Jim Dine quotes to view full size.